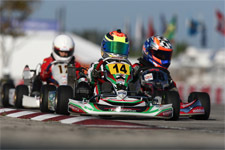 Taking on a revamped circuit at the PBIR karting facility, along with a new racing format for the Formula Kart weekend, Gangi Jr. would be nearly perfect throughout the first of six FWT events for the 11-year-old. Starting with qualifying for Saturday's round one, Gangi Jr. managed a fifth place result and would start the new double heat race format from the inside of row three. 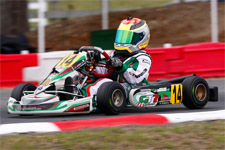 The two heat races would see Gangi Jr. rise to the top, as he edged his nearest competitor for the victory in race one and then broke away with a two second win for heat two. Gangi Jr. would also be credited with fast lap honors in both. 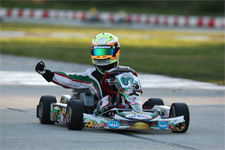 The two wins earned Gangi Jr. pole position for the final, and the Brookville, New York resident proved to be the class of the field during the 14 lap main. 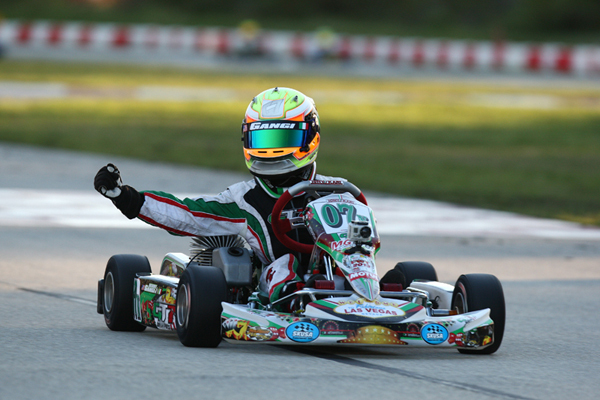 Leading every lap, Gangi Jr. cruised to more than a seven second victory to start his 2013 Florida Winter Tour campaign off right. 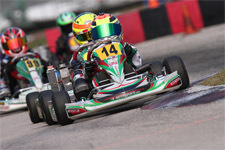 Back on track Sunday for round two, Gangi Jr. would lead the way in qualifying to earn the coveted pole position. Keeping up his momentum, Gangi Jr. then went on to score yet another heat race victory during the first wheel-to-wheel action of the day. 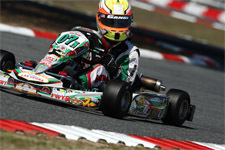 The young gun missed out on the day's sweep however, coming a mere 0.012 seconds shy of the second heat victory. 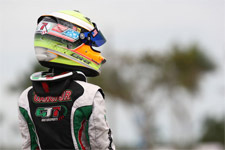 Again starting the final from the pole position, Gangi Jr. was able to take his second final victory and yet another fastest race lap honor along with command of the overall TaG Cadet points after two of six rounds. Anthony Gangi Jr. would like to thank Chris Perez, his tuner and driving coach, Daniel Lambert (Disco Dan) for his always-great power and for their hard work and long hours. Additionally, Gangi Jr. would like to thank Sargeant Motorsports for all their help and support along with sponsors Millwork Solutions, Holeshot Drive Systems and PKT Axles.